Autumn is just around the corner and you can already see how excited everybody is about this season by looking at planner layouts. 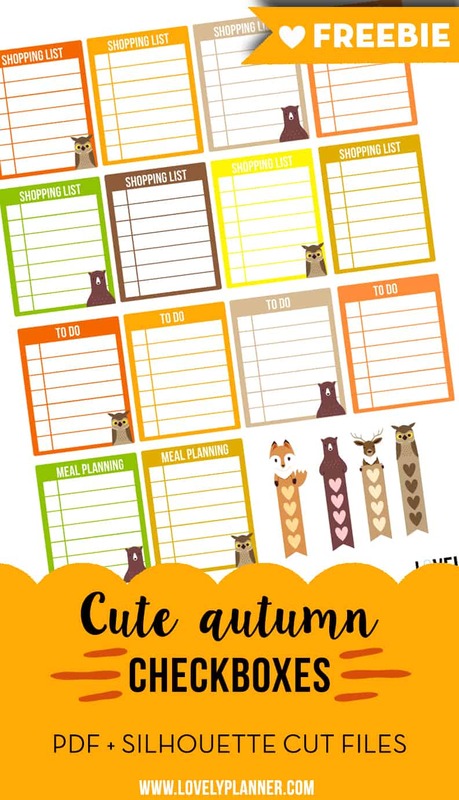 Orange, yellow and brown are to be in every planner and they were definitely in my mind when I created this free set of stickers: cute autumn checkboxes stickers for your planner. 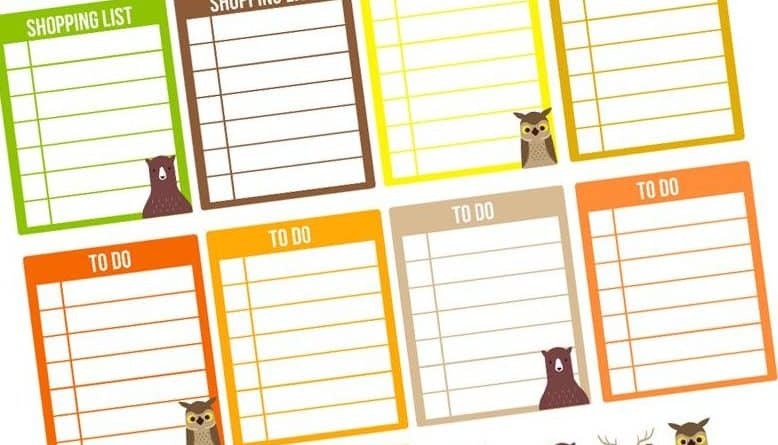 This set is a little mix of autumn colors + cute animals + diverse functional checklists! It includes 14 boxes and 4 animal checklists. 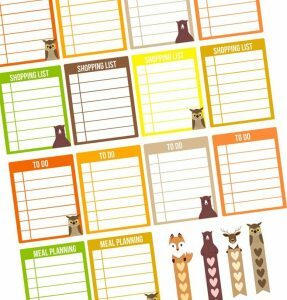 Different types of lists are included: Shopping list, to do, meal planning. I hope you’ll like it! Please, feel free to let me know what type of planner freebies you’d like to see more of. For example, would you rather see weekly sets than more general and cute stickers like I’ve done until now? 14 boxes to list up to 7 items – 3 different types of lists: shopping list, meal planning, to do. As always, you can download these stickers for free in Pdf or Silhouette studio format at the end of the article. Print (preferably on sticker paper) and cut around each sticker. These boxes are perfect little rectangles so you’ll have no problem cutting them yourself! , but you can use any paper you want. 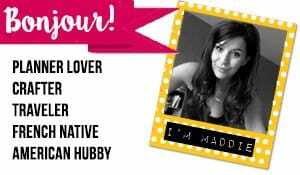 A vous de choisir (your choice to make)! to make the back of your die cuts sticky. If you own a Silhouette machine, all you’ll have to do will be to print&cut this file on sticker paper. I use the settings blade 2, speed 10 and thickness 18 to kiss cut the characters, but the settings may vary depending on your sticker paper, so make sure to run the test cut before cutting your whole page. Thank you so much for creating Silhouette files! I love using print and cut with my silhouette, and this saves me so much time to already have them ready to go. I just printed these today, and I cannot wait to use them! Thanks a lot for your sweet words 🙂 I’m so happy you like them! I love print and cute too, you can do so many different things with it!